Established in 2005, We are manufacturing, exporting and trading of Assembly Lines, Hydraulics Machine, Test Rigs, Assembly SPM'S, Rubber Tube Feeding, Industrial Conveyor , Pipe and Tube Forming Machine, etc. We have excellently made an indelible mark for ourselves in the industry in a short span of time. Our growth is primarily attributed to an assertive attitude towards engineering excellence, quality and customers experience with our products and service. 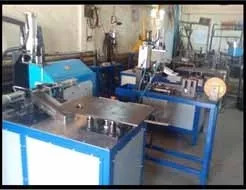 Today, we are an acclaimed manufacturer and supplier of a comprehensive range of heavy engineering machines, industrial engineering machines, conveyors, punching machines, stamping machines, stamping presses, automation and machine tools. We manufacture various machines and conveyor belts that makes life easier for thousands of production and plant managers. Our products offer superior strength and supremacy in performance. A devoted manpower ascertains that all our business processes are seamless and efficient. We endeavor to garner customer trust and satisfaction by enhancing the service to levels that are above the expectations of clients. We leave no stone unturned to satisfy our clients with top quality products. We export our Product "Globally "
We have an unshaken commitment towards manufacturing excellent products and developing innovative machines and conveyor belts. Empowered with superior quality raw material and effective components, all our products are guaranteed to run for years with minimum maintenance. Such a product line undoubtedly provides our customers a satisfying experience and give them value for their money. 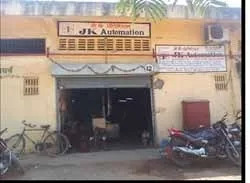 Our products have created a goodwill amongst our clients who rely on us for their automation requirements. We have taken a lead in the industry vis-a-vis our competitors in customer satisfaction.